All-natural powder out of Portland brightens and clears skin with botanicals. Refresh your skin for spring with Kore Herbals’ Remedy Florals + Pearl Facial Mask — the antidote for winter damage and the pesky breakouts that accompany a change in the weather. 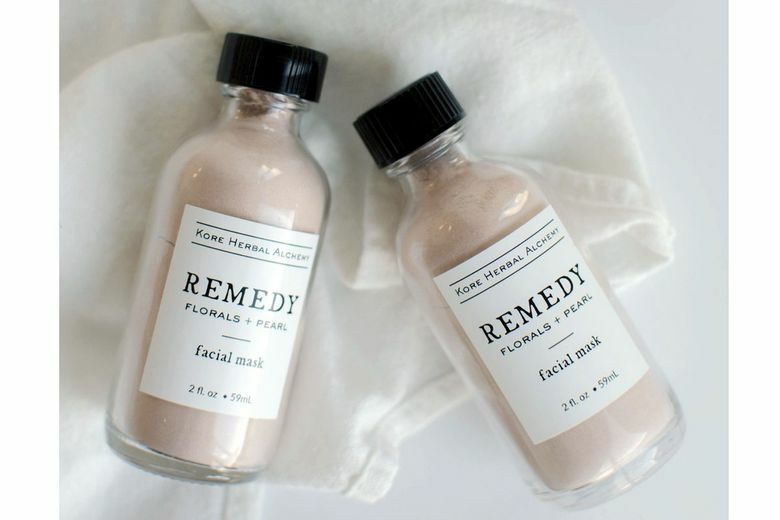 Portland herbalist Kora Goodman’s handcrafted botanical blend uses simple, plant-based ingredients, including vitamin-rich lavender flower, dandelion root, yarrow flower and pink rose petals, to nourish even the most sensitive skin. Rose clay and crushed pearl powder brighten the skin to bring out a natural dewy glow. Just mix with water to form a paste, let it dry and rinse it off.